Thanks for this guide. Do you have any advice as to drag factors for the various erg pieces? "Do you have any advice as to drag factors for the various erg pieces?" Drag factor should be around 100 for the 90 minute pieces, maybe a little more for the sprint stuff. 1 - which year did you do this? 2 - what is your current personal best 2k? 3 - are you still rowing? 4 - have you ever tried using Rowperfect or Dynamic Concept 2 instead? I work for www.rowperfect.co.uk and we publish e-books about rowing and training. Would you be interested in having us offer your work on the site? If a heavyweight wanted to adapt this programme what would you change? Would the workouts stay the same and the targets change? If so what sort of targets would someone aiming for a 6:10 be looking at.. Thanks! How tall should one be to expect reasonable success from this program, and what was your starting weight at the beginning of your training? 5'9 - 6'2 is best. I was around 172 when I started the program, and ultimately weighed in at 155. Have you done any workouts such as 4x1k 12 minute intervals, 4x2k 7min rest or 8x500m with 2:30 rest? What's your 1k PR? I have been training for the past two years harder than ever and havent made much improvement. My personal best is a 6:49. 1k PR 139.3 still with all of this im never prepared for a 2k on test day and always do awful. "Would the workouts stay the same and the targets change? If so what sort of targets would someone aiming for a 6:10 be looking at.. Thanks!" The workouts would stay the same, but the targets would change. However, I don't know exactly what the targets would be offhand. You would have to talk to a bunch of people who pull sub 6:10 and then get their benchmarks on each of these metrics. But again these are really just guesses. It also depends somewhat on each individual person depending on their physiology. That's why recording your workouts is so important, because it lets you not only change the workouts as necessary, but also refine your targets as necessary. "Have you done any workouts such as 4x1k 12 minute intervals, 4x2k 7min rest or 8x500m with 2:30 rest? What's your 1k PR?" When working your way to being able to do the steady state would you suggest doing steady state at a 155 heart rate and just work on getting the split down at that heart rate or should I start out at a 1:55 split time and just keep doing it because as I get used to it my heartrate will go down. You need to erg at 75% of your max hr, which is usually around 150 - 155 for most people. It's fine even if you have to keep it at 2:30 (or even worse) for the first couple weeks, you'll quickly improve. However, if you just row at 1:55 regardless of your HR then you won't actually improve because your body won't be using the right sources of energy. (You need to train your aerobic system, which doesn't happen if your HR is too high.) The concept 2 training guide I link to explains the actual physiology, as I think does the Lactate Threshold Training book or probably most other books on the science of endurance training. I really like what you are doing here, and I think I am going to try to jump on this program. One question, what is the reason for keeping the drag factor at 100? I would have assumed to keep it around a 130ish? Great! Good luck with the program. As for the drag factor, I usually just set the damper halfway between 3 and 4, which is around 100 on my home erg and around 113 on the one I use at the gym. I think the biggest argument for keeping it a little bit lower is that erging puts some stress on your lower back at the catch, especially when going at a slow stroke rate where the flywheel has time to slow down significantly between each stroke. The benefit of the lower stroke rate though is that I think it's a little easier on other parts of your body, in terms of avoiding things like carpal tunnel and other overuse type injuries. So that's why I advocate the low stroke rate, but with also a fairly low drag factor. Thank you for the guide. I have a few questions that I hope you can answer. The first has to do with rowing strength/pulling hard. I rowed for three years before stopping four months ago. My squat was relatively never that high (220max @165lbs) and my pull-ups were always around 25 max. On the water and the erg I could pull very hard for a short distance (20-40 strokes) compared to guys who were squatting close to 360lbs max at 185lbs. On the erg I could pull a 1:14 for one stroke and now I can pull 1:34 @20spm (I didn't measure this at the time I was rowing). In a single I could keep up with senior national team scullers for ~2 min with a rate cap of 20 and keep with our eights for 3 open rate 1' on 1' off pieces. However, the stronger I got in the weight room/erg/water, my erg 2k didn't come down. My best was 6:55. When I rowed the single, I noticed that when I put the power on I could really move the boat but that I couldn't sustain that pressure for 2k. So my first question is, is strength (320-360lbs squat, 35 pull-ups) always a limiting factor to a sub 6:20 2k? If not, then how do I know when is enough and should I then focus my training time on cardio? Secondly, I always thought of myself more as a sprinter than a long distance runner. I've learned from reading a lot of rowing literature including "Lactate Threshold Training", that to be the fastest rower I need to be more of a long distance runner type. So then my question then is, do I need to adjust the program based on my individual need of more aerobic (75%HR SS) and less anerobic (Lifting)? Thirdly, what do you think about training based on watts at lactate as opposed to watts at HR? Theoretically, they should correlate to the same watt but, from what I've read, HR is not as reliable a source of optimum training intensity as is lactate. Assuming that lactate testing is available, do you recommended to do the steady state work at a watt that correlates to 1.8-2.0 millimoles per liter and retest every week to check progress? - Is strength (320-360lbs squat, 35 pull-ups) always a limiting factor to a sub 6:20 2k? Nope. There are definitely people who are able to break 6:20 without meeting all (or even any) of those goals. Basically, if you're able to meet all of those goals it means that you should be able to break 6:20 without an excessive amount of difficulty. But just because you can't meet them doesn't mean it's not possible, it's just usually not a safe bet that you will. - do I need to adjust the program based on my individual need of more aerobic (75%HR SS) and less anerobic (Lifting)? In any event I would still try to improve your ability at squats at least, if you're only able to squat 220 then breaking 6:20 is definitely a long shot. Even the least strong people I knew who were able to break 6:20 were still probably squatting 280 or so. - what do you think about training based on watts at lactate as opposed to watts at HR? It's been too long since I've been up to date on lactate training so I can't really give advice. The thing I like about heart rate is that it varies wildly depending on what other work you've done that day/week, how hydrated you are, the temperature, etc. Which means that some workouts were done at a much faster pace than others. I had very good results this way, varying the speed of the piece depending on my heart rate at any given moment. Whether this is a good thing or a bad thing is difficult to say, but it certainly worked very well for me. Thank you, Alex, for the answers! I am keeping track of my training so that when I finish in 6 months and pull sub 6:20, I will share my data like you have. I'm on week 2 right now and have already gained 5 watts on my steady state from last week and 2 pull-ups on my max! Something I've added to my erging is breathing technique. Sounds funny right, but apparently I've been breathing backwards my entire rowing career. Xeno has written that the ideal breathing rhythm is an exhalation at the catch with an inhalation at the finish. At first i couldn't do this backwards one breath cycle for more than a couple strokes without gasping and raising my heart rate. Today was the first day that I was able to get into a good rhythm and the result was my heart rate leveling at 138 and my watts increasing by 10. I was only able to maintain this rhythm for 5 mins but I would say that is great progress. Anyway, thank you again for sharing your info! Hello, I don't want to make a super long comment although i have something that I think you might find interesting. You guys have been debating the strength training and what works best, subsequently I have something to add. I had a tough first year in rowing at grade 9, my performance on the water has improved but my 2k not so much. Then again, I have not put much time and effort into improving it. I will be doing that though next year through following the Pete plan followed by your wonderful guide here. Anyway, I'll stop getting off topic. I am 5' 11" and weigh 145 pounds, I have decided that lightweight is my best go at things. The most watts that I could pull at the end of the season was around 500, about a 1:29 split. In a month of weight training I have maintained my weight at 145 pounds (as I was not looking for size), yet I increased my strength and power significantly. Let me tell you what I mean by significant. I just finished two 10 second tests, without any technique I pulled 619 watts, 611 with it. Anyone with a basic comprehension of math can see that what 500 to over 600 means, an increase in maximum watts of over 20%, that is a lot! I realize that results like that will not be linear and that I am fairly new to rowing, yet I think that is a vast improvement. Just to let you know what I was doing, I followed the men's health power program for a month. I did the strength section that is designed for strength without size. Lower reps naturally. I recommend that you check out the book; maybe it would inspire new ideas for your plan, probably not although it couldn't hurt to give it a look. I would love to hear your insight. Sounds like a good plan to me. I checked out the Pete Plan, and it seems reasonably good for a beginner, although I'd recommend doing at least 20 - 30 min of base cardio before each of those workouts, in addition to the circuits. Remember your goal for where you are shouldn't be to improve your 2k as fast as possible, but rather to get enough base strength / cardio / power for you to able to successfully complete something like what I'm advising in the future. To this extent I think it's fine to do a workout program like this even though it has a little bit more sprint work than would normally be justified. The reason for this is that the sprint work is a key component to helping you learn how to pull hard, which is probably the single most important 'skill' you need to learn as a rower. The men's health program looks fine, although I'd recommend adding in squats, leg curl, leg extension, bench press, pullups, and dips. It's fine if you're not doing a ton of weight on these, but you want to start on them early in order to master the motions. For some people it can take literally years of doing these with very little weight until they have enough flexibility to do it properly, not to mention that as a beginner it takes an enormous amount of time just to make the first little bits of progress on them. Weight lifting is kind of weird in that way: it takes a really long time just to make a tiny amount of progress, then you start getting good really fast, and then you level off again. Anyway that's why it's good to start actually lifting weights right away though, because ultimately this is probably even more important than cardio for when you're a relative beginner. I am just curious as to what you mean by circuits, do you mean the interval work? I am hoping that by following the Pete Plan I will get the base fitness (a faster 2k will quite likely be a result) for your program. Your program looks great and like something I could use and enjoy. I almost can't wait for it! The program does have squats and other free weight exercises. It does not use machines such as the leg curl and extension, this is because it can create muscle imbalances through isolation training. For some reason I didn't personally have many troubles with lifting technique. To ensure a consistent rate of strength increase, I added weight every time I repeated an exercise. There was usually about a week between repeating. I only added weight though if I felt confident, that being said I did push myself. One thing I would like to add and throw at you is Olympic lifting.It can be difficult to get the technique at first, although it greatly improved my power. I would suggest safety precautions before attempting it though; I received instruction. "I am just curious as to what you mean by circuits"
"The program does have squats and other free weight exercises." Ahh ok, didn't see that. It's probably fine then. "a faster 2k will quite likely be a result"
Yeah, it mostly depends what your current 2k is. With programs like that they are good for getting your 2k down to between 6:45 - 7:15, but after that it would be difficult to get down further without much more base cardio than what you'd be doing. Thank you for your insight. I hope that using the Pete Plan will help me get to the lower part of the range you have said it could give someone, then I'll be able to start your program. I will let you know about my progress after my next 2k test, that should be in February during monster erg. Until then. Would it work to do the 2x 45min erg pieces instead on the water in a single? Also would it work to follow this program in the morning and practice with my team in the afternoon? "Would it work to do the 2x 45min erg pieces instead on the water in a single?" It would certainly work to do at least some of them in the single. I would still recommend doing at least four per week on the erg though. "Also would it work to follow this program in the morning and practice with my team in the afternoon?" Yes, that's basically how it's meant to be done. The only exception is if your team is going to be doing more than an hour of steady state on the erg then it might be best to do less in the morning, but otherwise it's fine if you're doing an hour of cardio on the water plus some pieces or an erg test or whatever. And obviously you shouldn't do squats in the morning and then do them again in the afternoon or the next day, so the weights component is the one area where you really do need to do one or the other unfortunately. Hey alex, I am currently using your programme. Into my second week of it here and it's going pretty well, was just wondering though what would you advise to do to extend this programme over a period of 10 months as apposed to 6? I don't currently have good access to gym weights. Is it possible to gain the strength required without doing weights? i.e. body weight or erg pieces? I heard the Danish national lwt team doesnt use weights at all and they have the fastest 2K erg scores. Unfortunately weights are required. You can do strength stuff without weights if you're already at your strength goals and only need to maintain your strength and improve your muscle quality, which I suspect is what the Danish lwt team is doing. But in order to actually get strong in the first place (at least in a reasonable period of time) then there isn't really any way around using weights. I really like the program you made. I am just about to start it, but I have few questions before I get started. First, what are your thoughts on substituting the dead lift for the back extensions? A member on my team recommended that I do this with the reasoning that the dead lifts will help to gain mass faster, and they still work the back, but also work the hamstrings, which would prevent them from getting too weak in relation to the quads. Second, would you recommend doing 3 sets instead of 6, but with a larger amount of weight per set? Or is 6 sets better for getting boat speed higher? My last question is that the first part of the plan is for months 1-3. Does this mean to the end of month three, or to the beginning of month 3? If so, then the second phase of the plan would be from the start of month 4 to month 5.5, and phase 3 would be from month 5.5 to the end of 6, would it not? >A member on my team recommended that I do this with the reasoning that the dead lifts will help to gain mass faster, and they still work the back, but also work the hamstrings, which would prevent them from getting too weak in relation to the quads. Personally I've tended to avoid deadlifts because they seem to have a high chance of causing back injuries, but that actually makes a lot of sense. I'd say go for it if you're already a junior in HS or above, but just be careful. I'd still recommend doing back extensions during the off season though. It's hard to do above a certain amount of weight with back extension because you have to either hold it with your arms or else try to use a bar on your back, both of which are difficult, but it's good to have a certain amount of base strength there. >Would you recommend doing 3 sets instead of 6, but with a larger amount of weight per set? Or is 6 sets better for getting boat speed higher? I'd recommend six because I think the chances of injuring your back are lower, and I think it's more effective for anything longer than a few weeks. If you wanted to switch to sets of 3 in the last 3-4 weeks before your main event of the year then I think that might make sense, I just wouldn't do that all year round. Beyond just the risk of injury, I don't think you'd see any extra benefits in terms of boat speed from doing sets of 3 for more than a few weeks. That's the kind of thing where it can work to squeeze out the last percent or two of speed, but after that you're probably not going to keep seeing any further improvements. >My last question is that the first part of the plan is for months 1-3. Does this mean to the end of month three, or to the beginning of month 3? Part one goes until the end of the third month, so a full 12 weeks. Thanks for the answers! I think it's really impressive that you still reply to comments even though the guide itself is several years old. If (big if here) I make it the entire way through, I'll definitely post my data. Hey Alex, I'm 18 years old and I've been rowing for 4 years. I'm 5'8" and I have read through your program and it looks awesome. I will definitely pick it up this summer. In terms of flexibility, i have alot. i am the most flexible guy on my team. Is there a way to gauge flexibility, i can put my hands and wrists on the ground when i forward fold. How flexible should i become? Yoga, like bikram (heat yoga). Love to hear from you, thanks. Also, what was the reason you started rowing? how long, and what made you stick with it for the time being. Hi, do you still reply to questions about this program, Alex Krupp? Sure, what questions do you have? 1) Do you use any kind of protein supplements after the pullups/squat sessions? 3) As far as food; how many kcal did you eat per day? Doing 2x45' burns alot, and I guess you'd need to eat loads to maintain the training program..
4) We need to perform at the Euro Open 2015 in Amsterdam (January 17), do you think starting at the end of august is a good time schedule? Our season ends next week, and after that most of us will keep cycling/rowing but on a lower intensity. 1) I wasn't, but it probably wouldn't hurt in moderation. 2) I don't actually have any examples. This program has gotten a lot of attention recently, but relatively few people have actually done it... Given the prerequisites, it's basically only well suited for a relatively small subset of rowers, and as with probably any plan I get the impression that most of the people who start it don't necessarily get that far. Not sure this is necessarily a bad, but certainly it means that the plan has yet to be 'proven' or whatever. But that being said, as someone pointed out on Reddit recently, none of the stuff in here is especially novel. What's new is the way that it's packaged, as well as combining some American ideas with some European ones. I think for where you are breaking 6:20 definitely isn't unrealistic, and if you don't get there then in all likelihood you'll still get closer than you would with any other program. 3) Yeah you definitely do need to eat a lot, but I don't remember offhand how much I was eating. I think it was at least 3,500 calories per day though. 4) Starting in August would be fine. I found this place through Reddit, read all of it and i'm currently in a preparatory phase. I actually only started doing real steady state training this month by buying an old C2 model B. Doing 60' erg @ 155hr, 5 times a week, and currently at a 2:14 av split. I'm planning on sustaining this until October where i'll be switching to 2x45', my strength goals will be met by then. 1) Does this mean i can do a strength maintaining routine that will be less taxing? How did you go about this in the last month or two? 2) My 2K PR is 6:56. To be 100% sure i make the 8+ it should preferably be around 6:35. Is this program for me? Or do i have to put in the same consistency and effort, just over a shorter period of time? 1) I'd recommend doing the same strength routine to start, and then once you reach the strength goals doing only two or three sets with the same number of reps you'd otherwise be doing, instead of doing the full six sets. 2) You should be easily under 6:35. Again I would do the program as is, but expect that you will break that in 3 - 4 months rather than six. Once you break 6:35 you can either continue the program (but in maintenance mode for squats and pullups), or else continue at a reduced workload. Thanks a ton! Really gives me a boost! We've been doing this for about 3-4 weeks now, but we have some discussion about HR for the SS. For me 75% of max HR would mean about 140-145 (max test said my max is about 190 bpm), but you say that you did it at about 155? Could you elaborate on this? I meant 75% of max -- my max HR when I did this was 206/207. If your max is really 190 then I'd keep it under 145. The idea is that you want to train just under your anaerobic threshold. I'm a novice rower, only 5ft 9in and 137lbs. Just started this fall, and I'm working towards a sub 7min 2k before my first year is over. I know this plan isn't exactly for me, but being in a position to implement this plan is a goal of mine. That being said, do you have advice/links for someone in my situation? Trying to go from solidly sub 8min to solidly under 7min seems like a big jump but I believe it can be done. Hoping someone with your experience would have some idea of how to jumpstart a small guy's rowing career. If this helps: My last 20min test was completed at a 2:04. Thought I would let you know how my progress is going! - I've been lazy on my squat, right now 285lbs 1RM. - 2x45': i'm happy with the progress so far, 2:03-2:05 @ 150-155hr. - I've gained more flexibility through the stretch routine, noticed better performance on the water due to this. - Up until 1 week ago i had been building up to the training volume of 2x45' 6 times a week, 1 month longer than i had planned. - Motivation is on point as well. I trust this program and am confident that it will get me fit enough for the 8+. - The mentality aspect of this program is starting to change me as an individual: prioritizing college, family, sports, girlfriend etc. is something I've never been good at, but i'm starting to notice that as you get older this requires more attention! Hi Alex, I am around 10 weeks in and I am starting to think about the hard pieces. Are they flat out or is there a target intensity/HR? Hey, Alex. Really thought-out workout plan and I've very interested in starting it. I'm around 5'10 and weight 170 - what was your height/weight when you started? Thank you for continuing to reply! Much appreciation. How would you include water sessions into this programme, would you sub them in or add them on? This might be an obvious question, but just to be sure.. The goal is to be able to do 6x35 pull-ups and 6x10 (olympic)squats 320lbs+? Also, what do you think about front squats instead of back squats? I have a lot of difficulty doing the olympic (back) squats without tilting my pelvis. Could I replace the squats with front squats? I feel like it is less hard on my back and knees. I am a 135lb lightweight at 5'10 and my 2k currently is 7:35. Will your program be significantly more difficult for me at such a light weight? Will it help me to gain weight? Would you recommend incorporating yoga into the schedule for flexibility? Thank you for the article, and I will likely follow it throughout the summer. At your weight and 2k time, I'd actually recommend doing more general general strength and fitness stuff rather than following this program -- running, rowing the 1x, general strength training, 10k erg pieces, etc. You want to do lifts for rowing of course, but not the the exclusion of everything else. Part of the reason for writing the plan is that most people, when they do a sort of general fitness program that involves rowing as well as other cardio and balanced lifting, eventually their erg scores cap out somewhere between 6:40 and 7:00. So at that point you really need to do a very focused program targeting only rowing specific stuff in order to get to the next level. The problem is, if you do a super focused program like this too early then it's just as bad, because you need a base of general fitness in order to be successful and not injure yourself. So yeah, by all means use this plan as an inspiration, but at this point I'd recommend just working with your coaches and waiting another summer before doing this. As for yoga, definitely incorporate it. The one thing I'd recommend there is just doing semi-private sessions (e.g. 4 or 5 folks per instructor) rather than the large group sessions, at least until you nail the technique for the poses. It's a little more expensive that way, but I think worth the extra 20 bucks a week or whatever to reduce your chance of hurting yourself. I started this plan September 2014 and by February 2015 I went down from 6:44 to 6:18. I was able to get this score after doing 20 pullups, squating 200lbs, and doing only one 45 minute piece everyday avg 1:49 SR19 at open heart rate. I know this plan is designed for a LW rower but I did it as a HW weighing 84kg and height 187cm. I've been following your plan loosely for a few months now and have begun to notice a plateau for my erging, at around 1:57.Is going a few points above 75% causing this, or do you think more km's are required? I've been reading this with some interest. I've rowered in my first 2 years of UNI and raced lightweight in my second year. In my 3rd year i was off rowing for about 9/10 months due to a placement year. I've been keeping up weight training with decent frequency (about 4 times a week) but have forgone ergo fitness. My previous best 2k was 6:40 at about 73/74 kg. And that was a poorly executed 2k. I'll be doing the first couple of months of this program to hopefully get my fitness standard back before starting back on my coaches program come the start of our season. With an end goal of beating 6:45 come November. 1) 100 drag factor? Is this not really low, we have been advised that lightweights should train at 135/130 (can't remember which exactly). I suppose the question is, is there a reason for it being this low? 2) Are you saying our goal is a 145kg squat for 6x10?? Or are you aiming our max squat to be that? I saw this because 145kg for 6x10 is one hell of a target. 3) the 155 heart rate. I understand it's purpose but i have always found my HR to be so high in everything i do. We would do 30 minute tests where my heart rate would average 196 and max 210 where i would be matching folk's times that are sitting considerably lower than that. Not sure if that's an indicator that my HR sits a bit naturally high or the opposition wernt trying hard enough/i pushed myself harder? I've done lactic acid testing and understand the full logic here. However, I have heard mixed opinions on weather you should hold say 155BPM and if it starts increasing then you pull less or you start at 150 BMP and you let it gradually increase while holding the same split(only goes up 10-15 beats). I always decreased the split to keep my HR at the same rate, and got good results doing this. Sometimes this meant going really slow, especially if I was doing this after lifting or if it was 100+ degrees inside. But that didn't seem to affect my rate of improvement. A) Your heart rate can keep increasing pretty much indefinitely. E.g. if it's 100 degrees out and you just lifted, I'm not convinced that you're still doing steady state if you're erging at 185 bpm or whatever. B) Even under normal conditions, whose to say where exactly cardio drift kicked in. E.g. you're obviously going to be able to go a little faster for the first ten minutes while your HR is still getting up to speed, but when exactly do you decide this is the split you're going to stay at for the rest of the piece? Even if keeping your pace were more efficient in theory, which I'm not convinced is the case, I wouldn't be surprised if in practice people doing it this way were further off their ideal HR on average than people who just vary their split to keep the same HR. Thanks I'll definitely try that out. By take a water break every 15 min, I just meant drop the handle for a couple strokes, take a big gulp or two of water, and get back to it. It shouldn't take more than 10 - 15 seconds. The point of the 15 min rest between the pieces is to get in some extra stretching, and run to the bathroom if you need to. This actually is also good for letting your heart rate reset a little to offset some of the cardiac drift, which might be partly why I had good results by varying by split to keep my HR the same. And I think taking a break between sets is actually ideal, it's just a balance between competing interests. I.e. it would probably be slightly better on any given day if you just did 90 min straight, but I think the extra stress on your body would leave you worse off in the long run. do you recommend splitting up the erging and lifting during the day? Or doing it all at once? Unfortunately I have work in the summer when I plan to attempt this program, and I work from 7 am to 3pm so my idea was to get the lifting done in the morning and then erging in the afternoon. I look forward to hearing back from you, I really like this plan. Thanks for uploading it! Just thought I would share my experience of following a more tame version (1x45 every day + team practise). I am 6'4" 82kg 2k currently 1:39.9. I have a goal date to reach 6:20 shown at the top of the spreadhseet. let me know what you think. This is great! Glad to see someone actually getting the point of logging the work rather than just going through the motions of the workouts themselves. Anyway the one thing I'd note is that with only one piece per days it'll take you a little longer to see longterm trends -- even doing two pieces per day, it was hard to see improvement over time periods shorter than two weeks. So with one piece per day I'd expect the numbers to look more or less random when viewed less than three weeks at a time, so you'll just need a little more patience. I always did five or even ten minutes between sets because my HR spikes really fast when I do weights, so I'm prone to getting dizzy and/or blacking out otherwise. Most people do less, but taking more time between sets for strength training isn't bad -- in fact it's actually a good thing if it lets you push yourself harder. This sounds like a very interesting program and I am very interested in giving it a proper go over the next 6 months or so...however, after doing the first workout this morning a few questions arose that I hope you can clear up. I guess now is the perfect time to ask them - as I want to make sure I am doing the program as it was intended. So....I did my first set of 2x45 this morning at around 18-19 spm, I averaged around 2:07-2:08 for both pieces. My HR was 175bpm pretty much after 5 mins in for both pieces and stayed that way for the entirety of both 45 minute pieces. About me: I am 40 years old, about 6'4" and weigh 225 lbs. Despite what those heart rate max formulas say, rather than having a max HR of about 180, I hit 209 on my Polar a few times doing 1km race pieces on the water this last Saturday. My PB for 2k on an erg is 6:28 - however this was done in early 2013. I never rowed in my youth or in college. I started rowing in my 30's, on water and indoors, albeit inconsistently, and I got serious for a bit for about two years, then took a huge layoff from rowing (ie no rowing at all), and only recently started it up again about 3 months ago. I do have an athletic background, although mostly with power-type anaerobic sports. I played football and rugby in my past, and for the past 15 years have been a regular gym rat, so my top end strength is pretty good. Basically, you can say that I have an underdeveloped aerobic system, and I get by on raw power as a rower. So..here's my problem - I find it very hard to row "slow enough" to get my HR into that 75% zone you prescribe. I'm just used to pulling hard and letting my HR fall where it may, which I guess depends on where my fitness is. Rowing 2:07 @18 felt pretty light almost as if I was going for a paddle yet my HR was at 170-175 the whole time. When I finished I was drenched in sweat, but was not "tired", it felt as if I had gotten a nice massage. When I do normal long distance pieces, I don't do HR monitoring and will row 18 on the erg @ 1:58-2:00 and can keep that up for an hour, even if I'm a bit tired at the end. Based on this - if you are prescribing a % of straight HR Max, then do I try to really, really slow it down to get my HR to the prescribed zone or do I row at this pace (2:07-2:08) and wait for the adaptation to kick in and let my HR creep down as time goes on..or are you implying that if I keep rowing at this somewhat elevated rate it will keep my aerobic system from fully developing? 2. What do you figure the effect of the humidity on all this - I gotta think that to get my HR into the 150's, I would be pulling something like 2:12-2:13 - and it's really hard for me to even pull that light without tweaking my stroke.... it just feels..weird. Sorry if it was a bit verbose, but wanted to give you as much data as possible in order to give your answer some much sought after specificity. Was hoping you could answer a question I had. Sorry if there isn't really an answer. Im currently meeting the requirements for this program pretty much dead on apart from I don't really have access/ability/know-how in order to do the free weight training. I do however have access to the erg obviously and was wondering, if solely sticking to the erg pieces+training not involving free weights, what sort of differences might there be in terms of outcome? Thanks for the effort in this, really interesting read. First, you need to actually measure your max heart rate on the erg. The 'formulas' for estimating max HR are only rough estimates across the entire population, they are completely useless at the individual level and using them will do more hard than good. 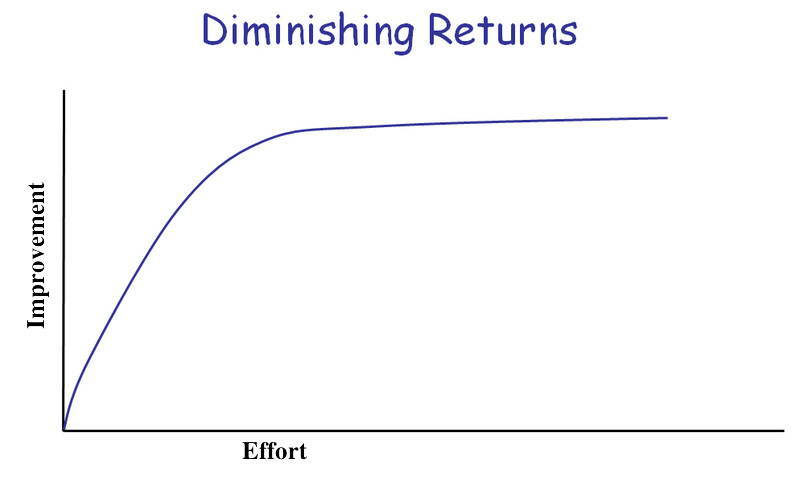 As for rowing at 75% feeling too easy, the point isn't for it to feel like you're doing work, the point is to do what will get you the fastest improvements. Don't complain about that being easy, just think of it as a bonus. Even if you're are 2:40 - 3:00 when you're starting out (which is barely even pulling at all) don't worry about it, you'll get dramatically better in a few months if you just stick with the program. There were days when I was starting this program when my splits were in that range for portions of the pieces, and then within 3 - 4 months I had the fastest erg score on my college team. (And I think we were ranked #1 or #2 in the country at the time.) Yes you'll certainly feel really stupid sitting in the gym looking like you're just pretending to work out while everyone else around you is going much faster than you, but don't worry about it, the rewards will come soon enough. And also yes the heat and humidity will jack up your HR, I think it can actually be beneficial to do them early at morning or late at night when possible. (Assuming that doing them at 8 or 9pm or whenever won't mess up your sleep cycle, which it does for many people.) When you need to do it during the day then just go slower to keep your HR the same... I tend to think that you benefit a little less than erging faster at lower humidity, but then when it's hot you still benefit more from going slower and keeping your HR in the right zone than you would by going faster and rowing at the same pace that you would with lower temperature and humidity. This is kind of an open question for me, but that was kind of my feeling based on rowing indoors in the summer when it was often 100+ degrees in the room with the rowing tanks, so insanely humid as well. In terms of calculating HR, use your straight max, not reserve. After 10 min or so your heart rate will start creeping up, so just slow down the pace to keep your HR in the same zone. It's fine if it creeps up a few bpm toward the end, but assuming your HR monitor calculates your average HR over the piece (most do) then try to keep your average HR right on the nose for each 45 min piece. If you don't have free weight training then your physiology probably isn't developed enough yet to be able to get through this volume of erging without injuring yourself. So I'd recommend joining a rowing club where you'll actually get training in rowing-specific lifting. And by this I also include things like bench press, hamstring curls, and dips, which don't contribute to rowing speed but which will keep your body balanced, prepare your body to develop the rowing-specific muscle groups, and help prevent injury. I followed your schedule last year and tweaked it a little bit, replacing the 2x45 T19 with 3x30 T20. I am 194 weighing 75kg with a max hart-rate at 211, so I did the 75% on 165/170. Times were around 1:55/1:56. Squat max was around 110. With 3 sessions a week for two months I managed to reduce my PR from 6:39 to 6:28. For me, doing only cardio and weights for 3 a 4 weeks with a transition week with only tempo and hard stuff really helped. Unfortunately, I got injured just before my 2k test (tendonitis in my finger). Because of this, I did the 3x30 on the bike four times a week. Instead of squats, I did leg press and lunges. We had to train more in the boat (because of the races on real water), but 2 months after my injury, my squat max was 130. 3x30 on 75% was 1:52. Did a 3x1000 as preparation for 2k on 1:34.6 (3min rest), but because I had real struggle weighing in, I didn’t do a 2k. Still regret that decision :(. Now I am taking a break but I will definitely use this scheme next year (as a heavy weight :) ). I have been rowing the last 3 years, and done weighttraining and running the last 10 years. I will take place in a quad-scull coastal race in Monaco this October. The preliminary race will be 4k long on open sea. Can i use part of your program, and if so which one? Most of my training will be on the erg,only weekends on the boat. Best 500m 1:29, 3000m 1:50 splits.35 years old, 6' tall, 175pounds. First, congratulations on staying motivated - it is honestly the hardest part of all. Second, do you know where I can find a similar week by week schedule for women? I am a female rower (1 year experience), 143 lbs, personal best 2K: 8:00:00, not lightweight as you can see. I want to decrease my PR by at least 1 minute. In order to do this, I need a very strict and clear schedule. I am willing to stick by it, whatever it takes. How much rest for the 3x10' test? I started getting into this program about three weeks back, actually a minor step down from my 2x60min (HR145-160) in volume. I initially saw a decrease in splits from 2:07 to 2:04, likely due to lower volume and a minimal shift from 20SR to 19SR. More to the point, last saturday I did the weekly cross train of 2x45min on a treadmill. I struggled to get my heart rate up the 10 extra beats, and my legs felt sore past the rest on Sunday and into the rest of the week, to where I've failed to pull similar splits to last week. Is this to be expected/should splits recover with Saturday off this coming weekend? Or could this be impact related/a elliptical or bike would be fine in the future? Hi Alex im a Lightweight rower . 63kg and my 2k is 7;00 . How likely (if possible) is a 6:20 2k and how long will it take if I follow your training. Thanks and im really looking forward to make some real progress. Hi Alex. My name is Raul I. Rojas and I’m a highschool freshman male rower at age 14,almost 15, 130lbs/ 59kg, with an average split of 1:53 for a 7:33 2k. I’ve been doing rowing for a little bit over a year now and I’m looking for something that and my team can use to get an edge on the competition. However, all of us are under the age of 16. How should I adjust your workout to suit my age?